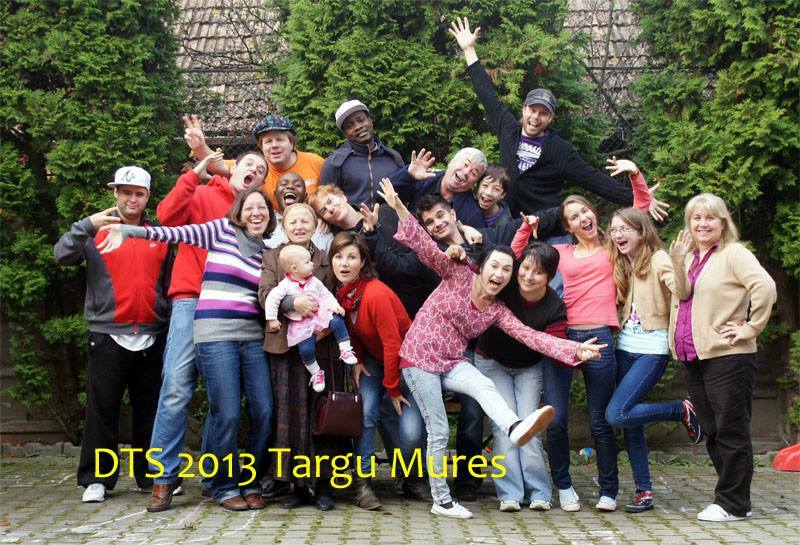 DTS 2013 in Targu Mures, Romania with all of the staff and the students. was a requirement to serve with YWAM as a long-term missionary so I think I did it more out of an obligation compared to a desire to really do it however as I did the DTS during the time I knew it and I now know that it was definitely a part of the journey that God had wanted me to take as I continue to serve Him as a missionary and walk in the calling that He has on my life. Now when I look back I am so very grateful that it was a “requirement” for me to do it because I believe in my heart that it was definitely another season of growth for me and it helped me prepare further for the next season in my life to now serve as a missionary with YWAM (Youth with a Mission). My DTS class that I did my lecture phase with. I have been to two other missionary training schools before (Gateway Missionary Training School in 2002 in Langley, Canada and Harvest Mission School in 2012 in Pemba, Mozambique) so I thought it would be an “easy” training time but wow was I ever wrong about that. I never thought I would go through so much “fire”, spiritual warfare and pruning like I did but I’m so thankful of how I grew through this time. I don’t believe for even a split second that the incident that had happened to my left knee and having an unexpected minor surgery in the middle of my DTS had just “happened” at that time but it was a direct attack of the enemy and it was definitely spiritual warfare to try and stop me from completing my DTS but I rejoice because God is so very faithful and I’m so thankful for how God had orchestrated everything for me to do my outreach phase with the YWAM base in Cluj, Romania and then to go to Uganda for my outreach. were such “key lessons” for me to not only to continue to serve as a missionary but also for my life which helped me to grow so much through this season of “training”. Some examples of the key lessons that God had taught me were during my DTS are: learning how to resolve conflicts in a godly and honoring way, learning how to recognize the importance of how I communicate with people and how to handle my emotions in a healthy way, learning how to submit more under the authority and leadership that God puts over me, learning how to trust God more especially with the unknown with my future and with my questions or even unanswered questions, learning how to persevere more when I’m going through difficulties and trials, learning to step out more from my fears and comfort zone especially in the area of speaking of sharing my testimony, preaching and teaching in a group setting, growing in my understanding more of the Father heart of God in my relationship with Him, learning to step out more in the prophetic and praying for people especially in the area of healing, etc. 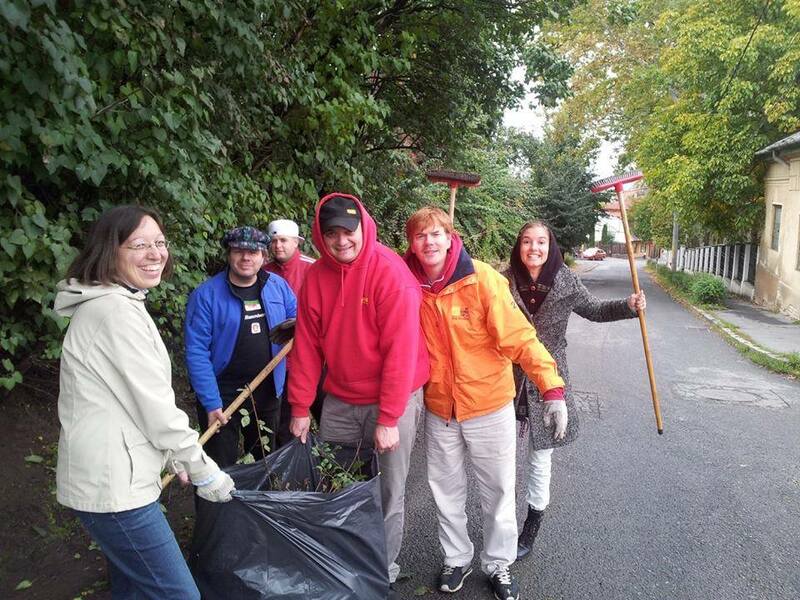 Having fun cleaning up the neighborhood. I would like to expand especially on the key lesson that God has continued to teach me in with knowing His Father’s heart. Around 4 ½ months before I started my lecture phase for my DTS in Târgu Mureş, Romania something had happened to my family that I never in my life thought it would ever happen in a million years which was when my Dad had made drastic decision to leave my Mom which I think was the worse day of my life. This has not only affected my Mom but also my brother and I very much. When I went to Mozambique for the Harvest Mission School God had set me free from the orphan spirit and spoke to me so very clearly that I am His child, His beloved daughter and He is my Abba Father. The interesting thing is the very area that God had set me free in December 2012 is the very area that the enemy is attacking me right now because for the very first time in my life I felt from my Dad the feelings of abandonment and rejection from him which is something that I have never felt before from him because he had always been a loving father to me growing up. 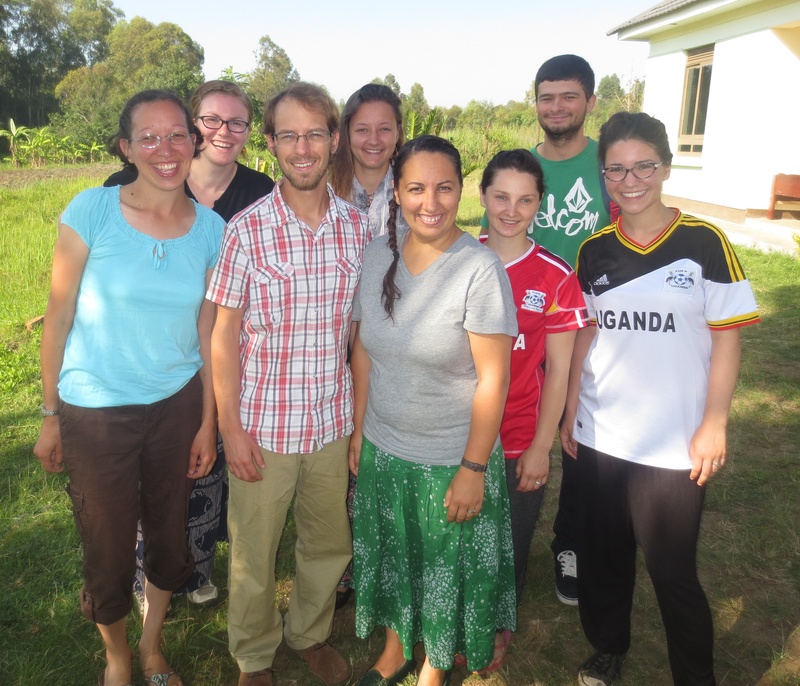 My outreach team in Uganda. new and a fresh revelation to my heart of Him being my Abba Father and even though my emotions were so raw at that time and are still at times I really believe that I grew in this so much more during my DTS. When I was in Uganda for my outreach God had really stretched me a lot in the area of speaking in front of groups of people (e.g. at different church settings and at the refugee camp) to share my testimony but not just like a short 5 minute time span but it was more like a 20 – 40 minute time length which was the first time in my life that I did that. The majority of the time when I spoke (not every time but quite often) God had stirred in my heart to share about His Father’s heart and I ended up turning it into a sermon. I believe that as I shared my testimony and preached on this during my outreach God had not only brought a deeper revelation to my heart but also the church was built up and encouraged too. I believe this is something that the church needs to hear more and really get this revelation of God’s Father Heart so we will truly walk in knowing that we are sons and daughters of God. 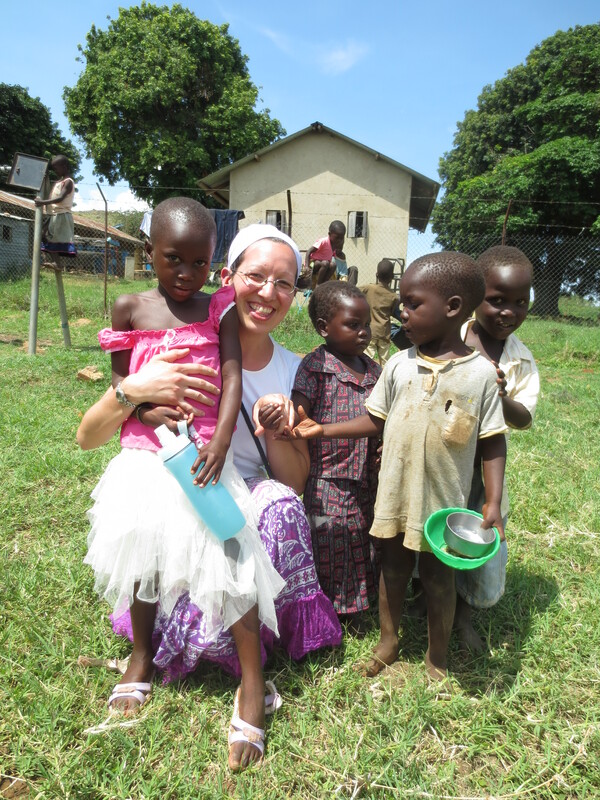 With some precious children in Uganda! I believe that through this trial that my family is going through right now and these feelings of betrayal, abandonment and rejection that I have recently felt from my own Dad that God is teaching me a lot through this time to really lean on Him more and to remember that He is my Heavenly Father – my Daddy! I praise God that He is not like an earthly Father that would change or grow cold or distant towards us but God is our Abba and He will never ever leave or forsake us because that is a promise in His word (Hebrews 13:5). I also praise God that His love never fails and nothing can separate us from His unconditional love that He has for us. I believe with all of my heart that God is teaching me more and more to truly know what it means to be His adopted child – his beloved daughter because this is what He has created us to be and to live knowing that we belong to Him. I also believe by faith that God will bring a full complete healing and restoration to my parents’ marriage too. I believe this is God’s heart beat to see a full healing and a restoration take place not only their marriage but also in my Dad’s heart and in the whole family as well. I would also appreciate your prayers for my family that God would bring a supernatural breakthrough and a miracle into this situation. Let’s believe together by faith for this to happen quickly! 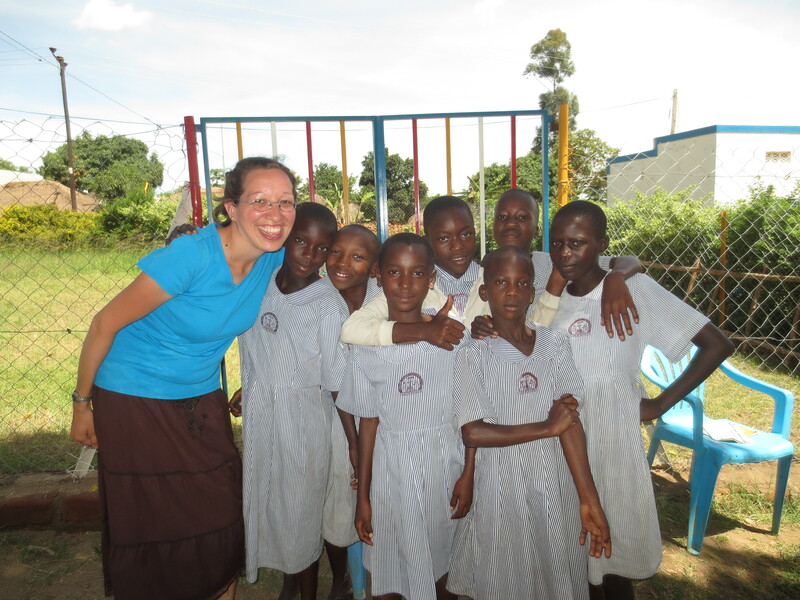 I am with some girls at the Compassion International project. come to pass! I am so very grateful that no matter what obstacle I may encounter, distraction, huddle, interruption or trial that the enemy may try and bring into my life that God our Abba Father is so very faithful and nothing can stop the plan that the Lord has on our lives! This was a definitely a lesson that God had taught me throughout my DTS journey especially with my outreach. The Lord taught me to trust in Him no matter what, to keep on preserving and to not give up. It was such a joyous moment for me when I finally received my DTS certificate on my graduation day on June 13, 2014 in Cluj, Romania! I would like to end by putting out a challenge out to you to prayerfully consider doing a DTS yourself because I know and believe that it will completely change your life and bring such an eternal transformation to your heart as well. As you just read doing a DTS has changed my life and I believe it will for yours too. If you have already done a DTS at a YWAM base why don’t you prayerfully consider to staff a school at a YWAM base to be able to mentor and pour into the students who have a desire and a passion to grow deeper in their walk with the Lord and also help them along their journey too. 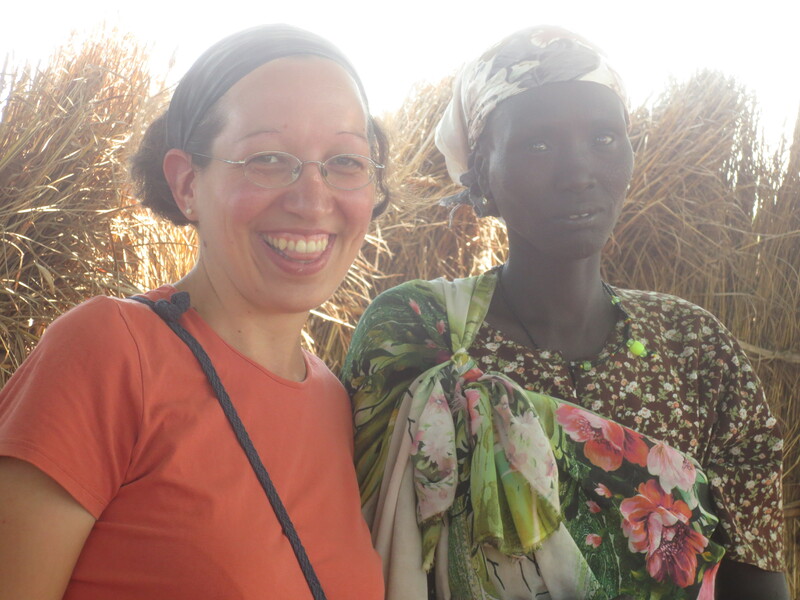 God healed this woman’s eyes at the refugee camp! Every DTS at any YWAM base has two parts of the school: 1) the lecture phase which is about 12 weeks long and 2) the outreach phase which is at least 8 weeks long so it is around 5 months for the whole program. During the DTS every student is also partnered with a mentor that you can meet every week to help you along with your journey during this time, you meet in small groups with the students and staff during the lecture phase, there are weekly local outreaches during the lecture phase and there are lots of times to seek the Lord in worship and prayer during the school. It is an awesome to grow together like a family with your classmates and the staff because you live together in a community where you also eat meals together and do fun social outings as well. During the lecture phase that I did these were the classes that I had which could be similar to yours but there are also a range of other topics as well. 1) Introduction to Discipleship, 2) Father Heart of God, 3) Holy Spirit, 4) Missions and Evangelism, 5) Personality and Gifts, 6) Relationships, 7) Spiritual Warfare, 8) Hearing God’s Voice, 9) Worship, 10) Biblical Christian Worldview, 11) Identity in Christ and 12) The Cross. Some DTS also have different themes that have more of a focus during the school like on worship, sports, creative, justice and mercy, voice for the voiceless, restorers, family, crossroads, etc. 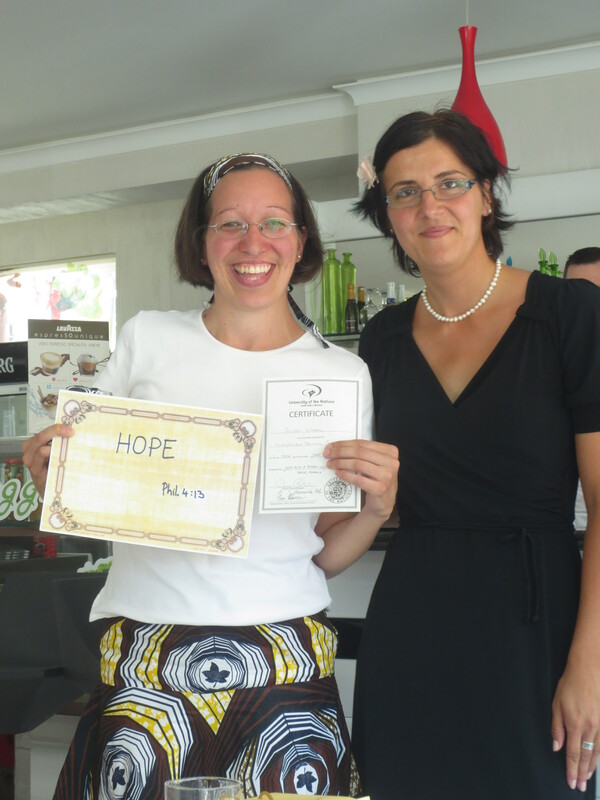 It was a joyful moment when I graduated and stood next to Emma who is the DTS director in Cluj! Training School this year. It will begin on November 16, 2014 and end of April 10, 2015. The Lord has also been stirring in my own heart to be a part of the staff for this school too and I’m excited about this opportunity that I believe that God has given me to pour into future students from what I learned from my own DTS! I believe that God is calling you into greatness and He is longing to take you into a deeper level of intimacy with Him. Our Abba Father God just wants to encounter you with His Father’s love and bring a complete transformation to your heart that won’t just be temporary but for eternally. Are you longing for more of God in your life? Are you hungry to dive deeper into His river of love? Are you thirsty for more of Him? Come do a DTS because I promise you that it will forever change your life! We have been really praying and interceding for our next DTS and we believe that God is going to do some really great things during this time! We are still looking and praying for more students and more staff for our next school. 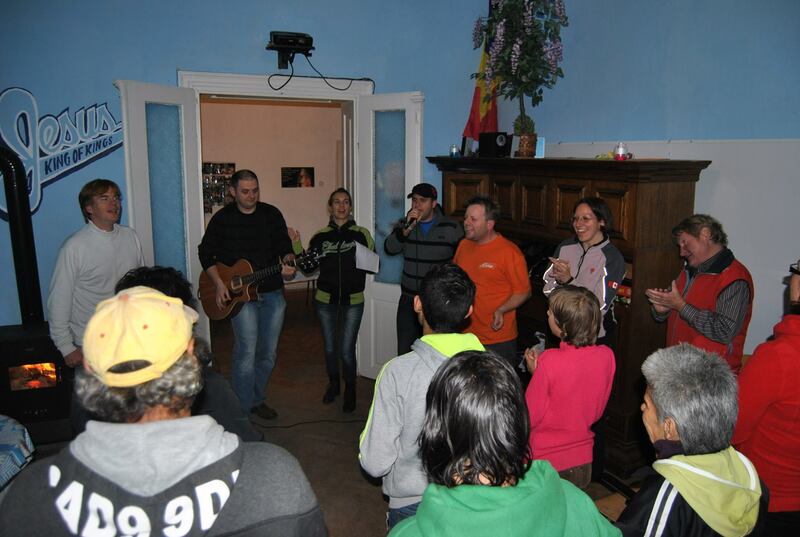 Would you prayerfully consider coming to the YWAM base in Targu Mures, Romania to do a DTS? Or if you have already done one would you prayerfully consider joining our staff team? Below is a promotion video for our DTS at the YWAM base that I am serving at. Please also contact me if you are interested in taking that leap of faith to do a DTS with us here in Targu Mures, Romania or if you are interested in joining our staff team. I would love to answer any questions that you have. You can either send an e-mail to the YWAM Targu Mures DTS e-mail (dts@ywam-targumures.com) or to my personal one. Thanks so much for taking the time to read this and I hope to hear from you real soon! Blessings to you!